Mr. Saint-Arnaud held multiple executive positions over 27 years spread out through five Canadian hospitals, including 14 years experience as an executive director at Lachine General Hospital in Quebec. MIT and London School of Economics graduate, Mr. Saint-Arnaud is the author of multiple publications regarding infection control and prevention in hospitals. Mr. Saint-Arnaud has received multiple awards for hospital administration and was very active in reputable health-care associations. Mr. Girard is a supply chain manager with 18 years of local and international experience in marketing, supply and distribution of consumer products, as well as IT solutions implementation and optimization. 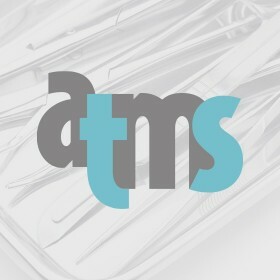 Mr. Thompson is a former project manager at Steris Corp, an American company present in over 60 countries that works towards infection prevention, contamination control and surgical care techniques. His work involved collaborating with project managers in hospitals, research centers, universities, pharmaceutical companies, architects, engineers and consultants in the field. Mr. Grandinetti has a unique cross-disciplinary background. He has deep operating experience as a serial venture capital – backed entrepreneur across five successful ventures, holds long-standing faculty appointments at MIT’s Sloan School of Management and the Technical University of Denmark Center for Technology, Economics and Management and has been deeply involved in regional and national economic development, with a distinct focus on global entrepreneurial coaching and enablement, innovation policy and innovation cluster acceleration, as well as advanced technology commercialization and tech transfer, in the US, Canada, and Europe. He also served as a senior management consultant with McKinsey, the world’s premiere strategy consultancy.